until the "Rocket ship XM" crew are unexpectedly thrown off course by a meteor shower and end up on Mars instead! The classic rocket designs of the 50's set the standard for Sci-Fi rockets to come. The Rocketship XM is a perfect example of that classic design aesthetic that has influenced movie rocket designs ever since. 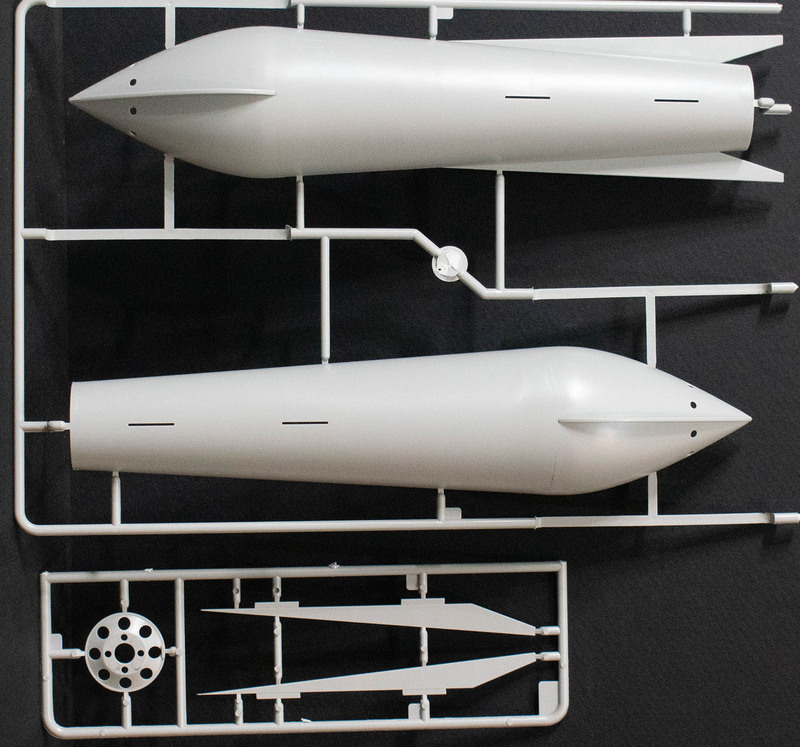 Plastic model kit. Requires paint and cement for assembly (not included). 7 pieces molded in grey plastic.